Since these windows are usually found at the front of the property, shutters are the best way to prevent passers-by from looking inside your room without having light levels affected. Narrower louvres for shutter blinds give a traditional look to complement a house’s period features. Alternatively, wide louvres provide a contemporary aesthetic. An accent colour on the shutters will draw attention to the bay window’s assets. Use it in other furniture too for a cohesive look. For true artistic panache, try a two-tone design. White shutters help bounce light around. What Furniture Goes in the Space? 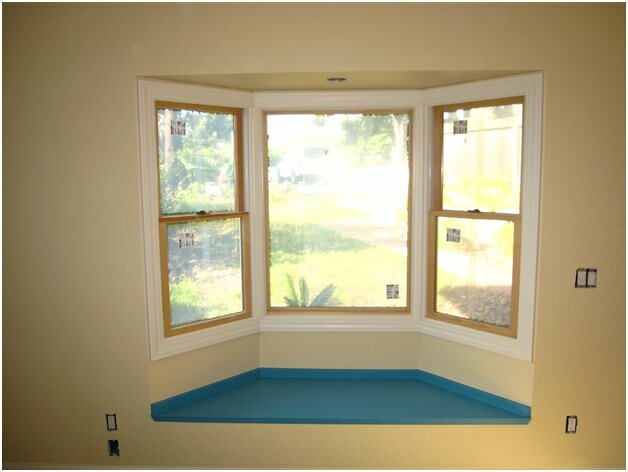 If you have a large bay window, you may be able to fit your sofa into the nook. If not, consider a chaise. A smaller bay can still accommodate an armchair or love seat. Or you could group a couple of chairs there to make a cosy spot for coffee. You could get a carpenter to create a fitted perch with useful storage space. Bay Windows can be found at https://www.firmfix.co.uk/windows/bay-windows/. 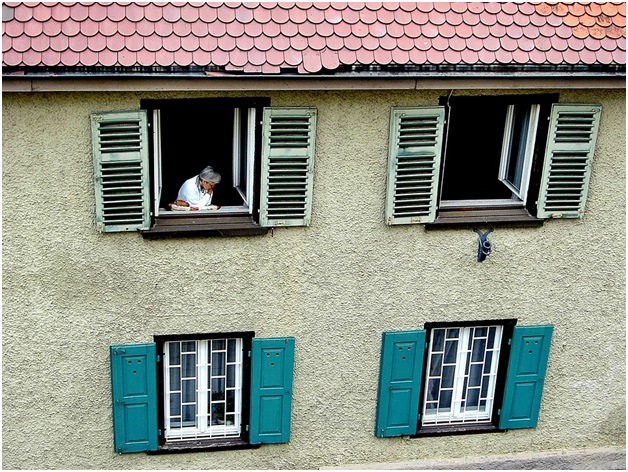 For the history of the bay window, see: https://www.britannica.com/technology/bay-window. A bay might fit your dining table perfectly. A round or oval-shaped table will fit tidily. Should your table be too big, place it towards the bay to use the extra space for moving chairs. A bay window makes a great frame for a display of foliage. Don’t forget the outside of the bay, either. Dress it with window boxes to work an aesthetic.